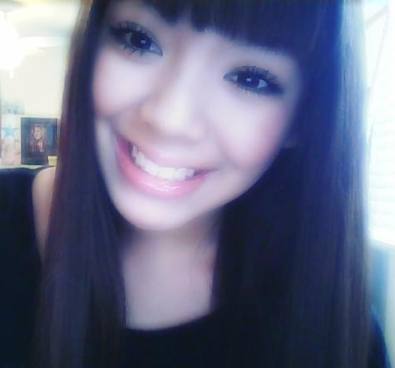 Hello my name is Kiyomi Guadalupe Uyeda. Hapavoice.com is something I’m glad I stumbled upon. It’s fascinating to see other Hapas like me and to be able to read their stories. Finally I feel that I’m part of something. My father is Japanese and my mother is Mexican. I am fluent in Spanish and am trying to learn Japanese. Even if at times I feel judged because of my mixed race, I still think being a Hapa is the best of both worlds. All in all, I couldn’t be happier to be part of both cultures. You look so beautiful, and your name is too :). I’m also Jaxican hehe! And my sister too! My mom is Japanese, and my dad is Mexican. I’m fluent in English, Spanish, French, and my Japanese is fine. I’m currently learning to write Japanese (kanjis), and learn Korean ( I love K-pop ). Since I live in Canada, and it’s plenty of different cultures, people don’t really stare at me, but often ask me where I come from. I’m happy to be ハフ! You have the most beautiful multiracial name! We should all meet haha! I actually live in Southern California, but I LOVE Mexico it’s a beautiful country. Japan is too, the culture,the people,the food,etc. I just love being part of two amazing cultures, it’s a blessing. Hi! I just found this web site and so far it’s amazing, along with the people. ha! i say Japsican or Mexanese! I’m glad you are proud to be what I call it “Japamexican”. I am myself one. Japanese but Mexican by heart! I’ve come to embrace both cultures and am proud of both. I was born in the U.S. lived 18yrs in Mexico. I’m glad to find that there is more people like me. Do you live in Mexico? awesome! I’ve met many hapa’s like yourself and they all have said it is the best of both worlds! I think you look very pretty, no matter what other people say about you.